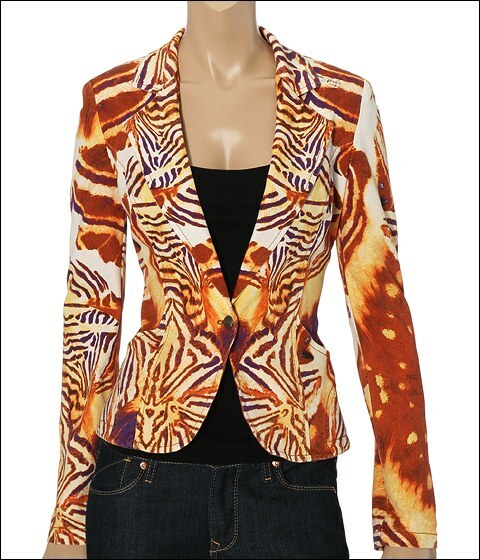 Beam brightly with the beckoning beauty of this becoming Butterfly Print Jacket by Just Cavalli. Single button closure. Three button slit sleeves. Just Cavalli logoed on the print. Fitted style. 98% cotton and 2% spandex. Hand wash cold and lay flat to dry. Made in Italy.